LONDON – Triumph and tragedy. Stars were born, and legends were toppled. But in the end the superstars were indeed super. 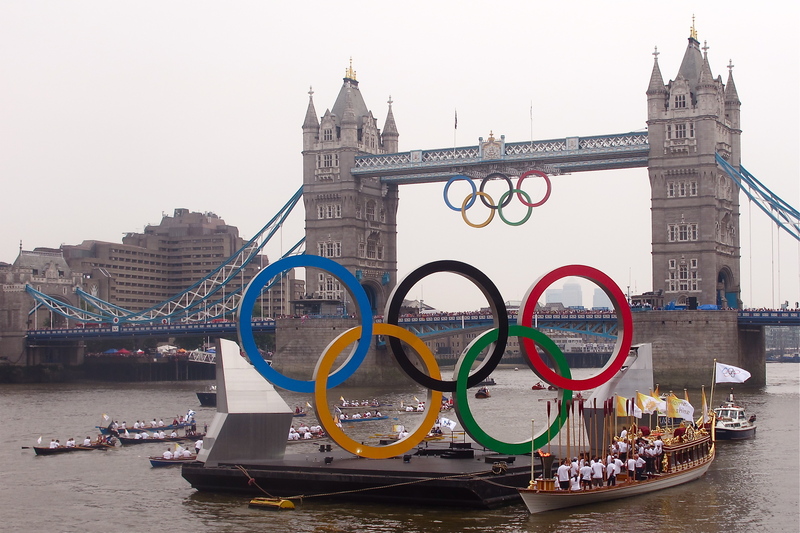 The 2012 London Olympic Games, lived up to the hype and even more. What makes the Olympic Games so intriguing and captivating is that it happens only once every four years. Just think an Olympic athlete has to peak at every four years. There is no room for mistakes and/or I‘ll get it done next year attitude if an athlete has a bad day – simply put there is no tomorrow. In the sports genre . . . the Games are the ultimate do it now or never opportunity for many. 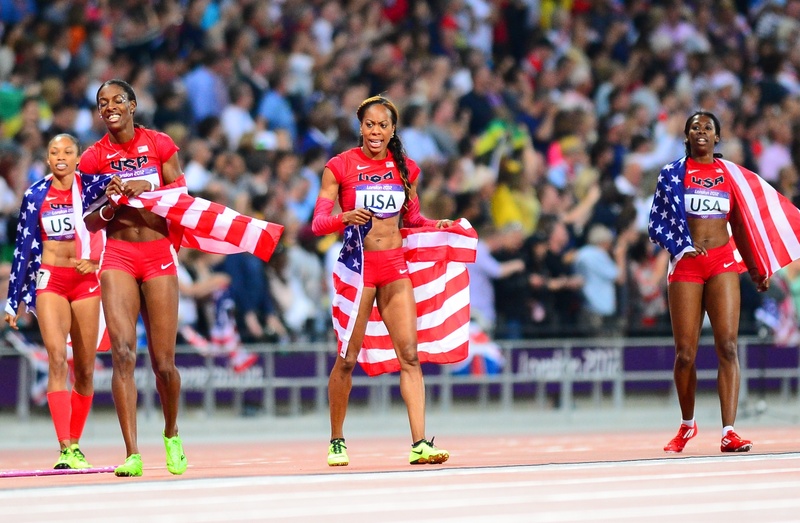 Gold Medal winning USA 4×400-meter relay (l to r , Allyson Felix, Deedee Trotter, Sanya Richards-Ross, and Francena McCorory. Sure there are always a few superstar men and women that have the gift of ability, tenacity, courage, commitment and single mindedness that are all necessary to just compete in the Games let along win more than one title. Well, superstar swimmer Michael Phelps become the most decorated Olympian of all time with 22 medals. Phelps also holds the all-time records for Olympic gold medals (18, double that of the next highest record holders). In the 2012 Summer Olympics in London, Phelps won four golds and two silver medals. Maybe even greater was the effort of Jamaican phenomenon sprinter Usain Bolt. He made himself a true legend of sport with his unprecedented second gold triple triple – winning the 100-, 200- and 4×100-meter relay. The 25-year-old Bolt in the face of stronger competitors than in Beijing, unleashed that intrinsic determination and drive that only a superior athlete processes. USA gymnast Gabby Douglas, 17, became the first African-American to win the all-around Olympic gymnastics title in London. She later was chosen The Associated Press female athlete of the year. Her autobiography, “Grace, Gold and Glory,” became No. 4 on the New York Times’ young adult list. She, along with here gold medal teammates recently completed a 40-city gymnastics tour, in which she got to meet President Barack Obama. Another women’s star that rocked the sports world was Serena Williams. She won Wimbledon, the U.S. Open and the London Games two years after her career was nearly derailed by health problems. She and her sister Venus won their third Olympic doubles title and she also won her first single’s gold medal. Also high on my memory list is how the American women rocked the Olympic Games. Douglas and her gymnastics squad won the team gold medal. Swimmers Missy Franklin and Allison Schmitt were multiple golden. There were track and field stars Allyson Felix and Sanya Richards-Ross that chewed up the track. One of my favorite athletes had to have been the 800-meter runner from Kenya, David Rudisha, who set a world record in winning the gold medal. I have never seen anyone with a more beautiful stride and running gait. Also with the Games being in London, being in the stadium to witness Great Britain’s Mo Farah win the 10,000- and 5000-meters in thrilling style, as well as watching British darling Jessica Enis win the heptathlon . . . at both events if there had been a roof on the stadium it would have come off as 80,000 people roared both to victory while waving the Union Jack. The Olympics are a celebration of humanity and people, where for close to a month all of this earth’s brothers and sisters come together in a friendly spirit of competition that challenges not only their opponent, but themselves and us to keep the spirit of peaceful integrated humanity alive. Leland stein III speaking at Michigan Sports Hall of Fame. LONDON — It was a no-win situation for London’s 2012 Olympic Games Opening Ceremony, simply because there was no way they could quite outdo what the world’s largest country (China) did during the 2008 Games in Beijing. I sat in the Olympic Birdcage Stadium in Beijing in complete amazement and wonderment at the Chinese’s’ innovative aerial and mystical presentation, sitting in the London Olympic Stadium I was not sure what to expect. I asked myself, “How could London match Beijing 2008? They could not. But, as I sat in the Olympic Stadium with over 80,000 rabid fans and over one billion television viewers world-wide, the London Opening Ceremony surprised me with its fun presentation. It was enjoyable and took us through its rich cinema, comedy, and music history and, a surprising salute to the digital age – although the industrial salute age was a bit boring. Smartly, the British did not try to outdo Beijing. They produced a uniquely British production that was who they are and what they have been about. Sure the visual musical presentation of every Opening Ceremony reflects the city hosting this mega sports festival; however, the appearance of the competing nations is my favorite part of the Opening Ceremony. Each team’s selection of the flag bearer, the wearing of their native garb, and the different size of each nation’s teams from very large to very small . . . I dig it because it is about the athletes. Then there was our beautiful First-Lady (Michelle Obama) in the Stadium as our representative welcoming in the USA athletes. Then, there was also former Olympic Gold medalist Muhammad Ali on the field to touch and bless the Olympic flag before it was hung high . . . oh yeah!!! London is a city in the United Kingdom that has over 7,500,000 million people and it has given us Shakespeare, James Bond, Mary Poppins and Harry Potter, the Tower Bridge, the Thames River, BBC News, English and the beginnings of Democracy. As well as, Wimbley Stadium and the Wimbledon Tennis Center, and, The Beatles, Eric Clapton, Amy Winehouse, Rolling Stones and the Spice Girls. London is recognized as the crossroads of world trade and world culture. Being that defined as a world power gives London a hustle and bustle greater than New York, a rail system and bus system unparallel in America, a diverse population mostly all live in the same areas, and, a mixture of the old history and the new today. Still in all its glory London has many of the same problems urban America has – the poverty, classism, congestion and old infrastructure. In fact, talking to a few Londoners they told me that there had been a Rodney King-type riot. In August 2011, a police officer shot and killed a black man during an attempt to arrest him. From there several London boroughs, districts of cities and towns across England suffered widespread rioting, looting and arson where thousands took to the streets. Places like Tottenham, Hackney, Brixton, Chingford, Peckham, Enfield, Croydon, Ealing and East Ham all experienced rampant looting and arson attacks of unprecedented levels. In spite of it misgivings, London’s greatest strength remains the diversity of its people. Londoners come from all corners of the world. Reports note that London is witnessing an expansion of cultural and artistic life not seen for decades. Seeing Iran and Israel and North and South Korea all on the same field together proves that it is possible for us to all get along. At least for a few weeks the Olympic moto “Citius, Altius, Fortius” – which translate to “faster, higher, stronger,” will be in the forefront of the international discourse. I remember having a one-on-one interview with NFL legend Jim Brown in his Hollywood Hills home. He invited me to his house and gave me unexpected access to him and his life. That interjection from Brown has stuck with me my entire writing career, and, with the recent passing of Dr. LeRoy Tashreau Walker, 93, it only reaffirmed the objective of the Black press to me. 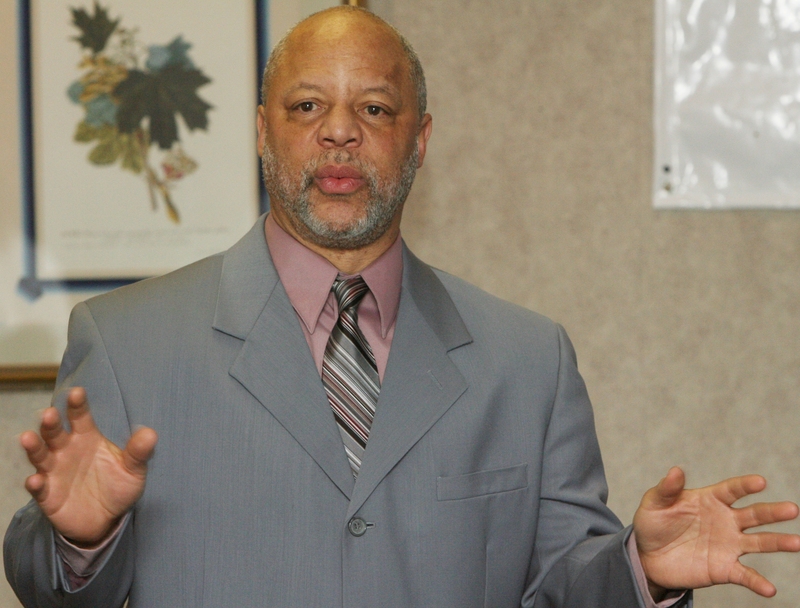 People all know about Michael Jordan and Magic Johnson, so why isn’t Dr. Walker’s name mentioned in the same category? As the London 2012 Games continue to unfold, I continually hear in the Olympic circles the legend of this exceptional man. Walker, who was born in a poor area of Atlanta in 1918, was taken to Harlem at the age of nine by his brother, Joe, after his father, a railroad fireman, died. According to historical writings, he worked in Joe’s barbeque restaurants and window cleaning business to earn money during the Great Depression. Being the youngest of 13 children he was the one sent away because they could not feed that many mouths. When he got sent to Harlem at about 9 years old, he became the only one in his family to go to college. In his long life, he overcame poverty and discrimination to earn honors as an athlete and coach, but he also was an academic. He was the first African-American to earn a doctorate in biomechanics, and he went on to become chancellor of N.C. Central University from 1983 to 1986. Amid all of his other accomplishments, all his firsts, all the ground he broke and trails he blazed, it was the connections Walker made, for himself and for others, that really define his legacy. 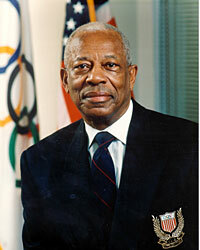 As the first black coach of an U.S. Olympic track team, the first black president of the U.S. Olympic Committee and the track coach who would one day become university chancellor, Walker became an international figure knowing everyone, and everyone knew him. He could move in any crowd, the kind of person who knew Jesse Owens as well as George Steinbrenner. His funeral, at Duke Chapel drew a crowd from all corners of the world. When Dr. Walker became present of the U.S. Olympic Committee he quickly noticed that the powers that be were all white males. So in his educated manner he did not attack the USOC; instead, he put together a business plan to a grant foundation and they gave him money. Walker took that money and cajoled the USOC to match the contribution. He created the Project GOLD Initiative that selected 100 men and women throughout America to come to the USOC headquarters in Colorado Springs to create a talent pool of people for possible selection on the USOC Committee or a National governing body (i.e. USA Basketball, Gymnastics, Swimming or Track and Field). For some reason I was chosen from the nation-wide search for the Project GOLD Initiative. There I got to meet and know people from all over the country. However, the one the stood out to me was Dr. Walker. He took advantage of his status as the USOC President and pushed all for inclusion, and, fortunately out of thousands of Americans I was included in the process. From Dr. Walkers’ outreach I eventually was appointed to an US Olympic Committee. The Olympics are a one of a kind international event. It embodies all that is good with humanity, competition, dedication, nationalism, and human excellent in a given genre. Sure the terrorist in our world recognize that the Olympic Games is the biggest collective of humanity it our world, so there have been Olympic moments where politics turned to violence. No matter, since Dr Walker selected me as a worthy candidate for an USCO appointment in 1996, I have covered every Olympic Games since, and, what an eye opener to the world it has been for me. That is exactly what Dr. Walker told me about what he wanted Project GOLD to accomplish. Walker became a member of more than a dozen halls of fame, but his most impressive legacy maybe not in what he accomplished, but in what he inspired and enabled others to achieve. 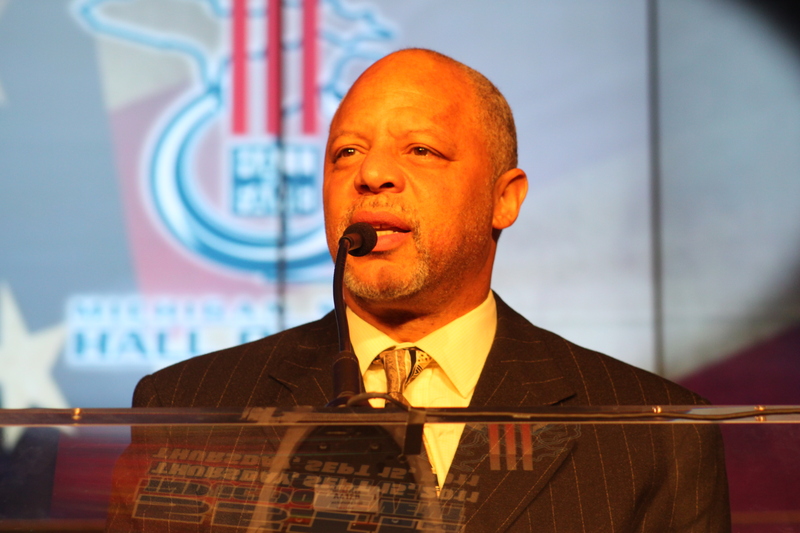 Walker was an inspiration for me and is the main reason I will be headed to London for the 2012 Games as one of only four members of the USA Black Press. With the 2012 London Olympic Games in our rear view mirrors, it seems appropriate to revisit one of the great legends of the Olympic Games. Most sports aficionados, and history buffs, know of the legend of Owens; however, his compete and dehumanizing degradation delivered by America’s intense racial separation kind of got lost in the real picture of this oxymoron of a man. Even today, over 70 years later, many Americans take pride in recalling how Owens undermined Adolf Hitler’s theory of Aryan racial superiority by winning four gold medals (100-, 200- , 4×100-meter relay, and, long jump) at the 1936 Berlin Olympics. “Jesse Owens,” directed by Laurens Grant and written by the frequent PBS collaborator Stanley Nelson (“Freedom Riders”), is a level and striking production that suffers from its shortness: about 52 minutes. There’s not much time to get below the surface, and Owens’s troubled post-Olympic life gets particularly abrupt treatment. The triumph of this “American Experience” documentary on Owens, who died in 1980, is that it enshrined his Hitler greatness without ignoring the depressing extent to which Owens’ own country also treated him as second class citizen. As an Olympian in that time, he was under the authority of U.S. Olympic Committee (USOC) chief Avery Brundage (an acknowledged racist), who admired Hitler and infamously replaced two Jewish sprinters on the 4×100 relay team because it could have further embarrassed Hitler if they won. After embarrassing Hitler in his own stadium in 1936, Brundage stripped Owens of his amateur standing, effectively depriving him of the chance to make a living from his skill. For years after the Olympics, this superb athlete was relegated to a sideshow — until finally, in 1955, President Eisenhower made him a national “goodwill ambassador” promoting the high ideals of America. However, before Eisenhower’s benevolent spirit, Owens had to race against horses and other degrading actions to support his family. Just like Joe Louis, who knocked out German champion Maximillian Adolph Otto Siegfried Schmeling, and in spite of their color each became an American hero; however, like Owens it did not carryover to life in America. Louis was attacked by the IRS and it destroyed his life. Owens fared no better. But the irony of both their lives in segregated America was that they did not outwardly complain. Maybe it was the times, where many thought it was better to go along to get along. The fact of the matter is it was life threatening to oppose the status quo. In fact, Owens in the 1968 Olympics of the African-American’s discontent with how they were being treated at home, spilled over into one of the most famous protest in USOC history, the Tommy Smith and John Carlos black gloved raise fist during the American national anthem. No matter how badly treated Owens was by the establishment, his nemesis Brundage, help recruit him to talk to the African-American athletes while at the 1968 Mexico City Olympic Games. The threat of protest was in the air and the USOC wanted Owens to help defuse it. In fact, Kareem Abdul-Jabbar brought the discontent to the forefront, by refusing to join the USOC Basketball team. With American cities smoldering in discontent and hungering for change and equal rights, the athletes ignored Owens’ cajoling, all but George Foreman, who won the heavyweight Olympic title and pranced around the ring with two American flags. He was scorned by the black community on his return home. 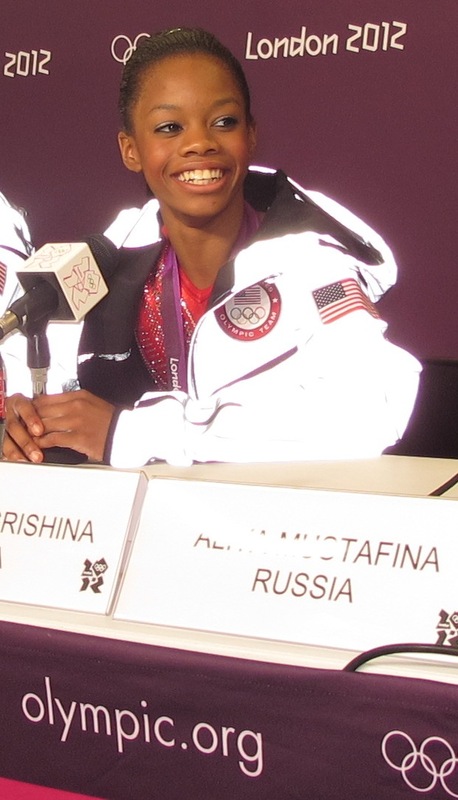 Foreman told me in an interview that he was a young country boy that had no understanding of the complexity of life and the anger of his fellow African-American Olympians. He said he was just happy to be there and out of his situation at home in Houston. Carlos and Smith became the poster boys of standing up to the injustice that was permeating American society, while Foreman and Owens took on the appearance of Uncle Toms. For me Owens is an almost preternaturally graceful and heroic figure, asserting his will despite isolation and scorn even greater than Jackie Robinson had to face. But he also represents the power of segregation at that time, when a man of his caliber was so beat down he was afraid to challenge inequality face-to-face.